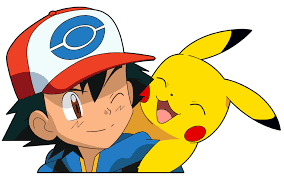 Guest Contributor Peter Ortiz (@Shellshock929) tells his story of how Pokemon helped him get through some tough times, build self esteem, and become a leader in his community. I grew up with Pokémon since it launched in 1998 in North America. 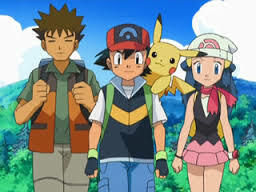 I found out about it when my brother was watching the episode where Ash caught Caterpie and Pidgeotto. 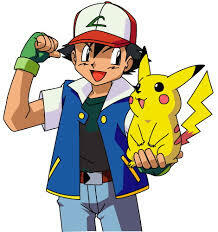 Once Ash fought Team Rocket (and won) in a Pokémon battle, I was hooked. Not long after, I got to try out a friend’s copy of Pokémon Red Version in school, and I couldn’t put it down. When my brother and I got our own copies of Pokémon and our own Game Boy Color systems, we were hooked. We got into the Pokémon Trading Card Game when Base Set was released, and we instantly got into that as well. Throughout my junior high and the early part of high school years, I was constantly bullied, and my confidence was reaching an all time low. Thankfully, Pokémon was there for me, and I used that as an escape from the negativity in my life. Around the time I was being bullied, I had my GameBoy Color stolen with Pokémon Blue, which I eventually got them back a few months later. It was really sad to lose all of the Pokémon I raised since I got the game, but when I got it back, I was relieved. Between the video games and the card game, I made a lot of friends, I’ve improved on my social skills, and my confidence and self esteem boosted to new levels. After all of that, I never let any bad influences get to me ever again. With my brother, we’ve traveled through a lot of different States for the big Pokémon Trading Card Game tournaments, such as States, Regionals, Nationals, and even World Championships. I’ve learned how to get better after each of my matches, and the community was very welcoming, offering advice to help me improve. Socializing with people at these events was one of my favorite things to do because it let me develop a better personality, while talking about the one thing we all had in common...Pokémon! I have collected a lot of Pokémon in all of the games I own. Whether I’ve traded online, or locally with friends, I’ll always go out of my way to complete the PokéDex. Over the years, I’ve had help with training, breeding, and raising my Pokémon. After all of the friends I made helped me, I made my decision to help others as well. Giving back to the community is something that makes me happy, and whenever people are happy with the Pokemon I give them, it makes me feel really good inside. I still remember being able to travel to Manhattan on my own when I was a teenager during the Pokémon Center days (now Nintendo NY), which also showed that I was a lot more responsible. I even had to figure out information on how to travel to events at unfamiliar locations, but it paid off in the end. Now I know my way around all of New York City, and whenever I travel, I always have Pokémon on the brain. Today, I help run a Nintendo 3DS StreetPass Group in New York City, and I frequent a bunch of different groups, including groups dedicated to all things Pokémon. I still making a lot more friends, and I’m still helping people out with Pokémon whenever they need it. Pokémon has impacted me in many different ways. It has helped me get through some of my worst years of my life, as well as some of my best years of my life. No matter where I go, or what I do, I will always have Pokémon on my side. How has Pokemon affected your life? Let us know in the comments! Pokemon Sun and Moon Means NX to be Home Console?